Guns don’t kill people; People kill people. Half of the people who read that first sentence nodded their head in agreement and the other half rolled their eyes and probably thought “how cliché!” Therein lies the biggest obstacle when discussing gun control and ownership; the inability to see that the argument against gun control is that of people and actions. 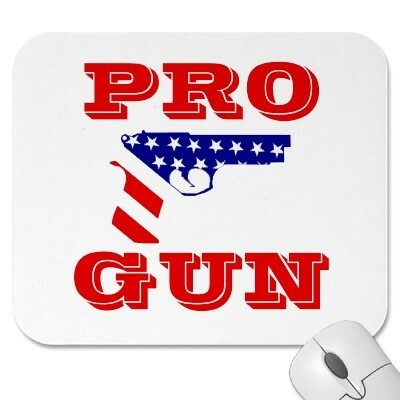 People buy or sell guns, use them to hunt, or as a form of sport, and sadly sometimes to commit violent illegal acts. The key factor here is PEOPLE. It is a person’s state of mind that controls how they to use a gun. A person determined to use a gun to kill will not be deterred by gun control laws because their state of mind is not focused on the gun, but is focused on the kill. When those who are anti-gun are able to take an objective view by focusing on the state of mind of the criminal and not on the tool they use, it will become apparent that gun control does not solve the problem of gun violence. yet those items have not been banned nor have they been argued as something that should be banned. Recently there was a mass shooting in Las Vegas, Nevada where a single gun was used to kill 58 people (Mass Shooting, n.d.) There was an immediate outcry for an absolute ban on guns. In contrast, there was also a recent attack in New York City where a driver plowed a truck through a congested area made for cyclists (Baker, Mueller, & Rashbaum, 2017) This attack killed 8 people and injured 11 others. In the days after this massacre, there was no outcry for the ban of cars and no argument for creating stricter vehicle regulations. These two events indicate the flaw in the logic used when arguing that guns should be banned because they have the ability to cause mass death. The common factor between these two events is that there was a person behind the weapon who wanted to commit the terrible act of causing the death of others. What society has failed to acknowledge is that a ban on guns is not going to change the amount of mass shootings or murders that occur, nor will it change the criminal’s state of mind. them. This is one definite way to protect people from accidentally harming themselves or others. The majority of gun owners use proper protocols and safety measures in order stop harm from occurring. The gun-related deaths we hear about via the media are not associated with legal use of guns to protect and defend, but instead are about the illegal use of guns, which in turn causes society to attach an emotional pain to the use of an inanimate object. metaphorical trigger pointed at the weapon itself and instead need to point it at the person behind the gun. Clark County Coroner Releases Names of Deceased from Oct. 1 Mass Shooting. (n.d.). Next If Not Now, Then When? The car v gun argument is way too weak. Vehicles serve an important utility purpose. A gun isn’t going to take me to work or the beach… Also if you are arguing against more restrictions then it’s almost as if you are in support of a complete gun ban.